The CERT Program provides education about disaster preparedness for hazards that may impact Bonita Springs and trains citizens in basic disaster response skills. Using the training learned in the classroom and during exercises, CERT members can be called upon to assist others in their neighborhood or workplace following an event when professional responders are not immediately available to help. 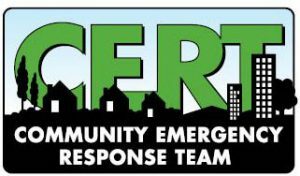 CERT members are capable of supporting emergency response agencies by taking a more active role in emergency preparedness projects in their community. The Bonita Springs Fire Control and Rescue District CERT program is designed to support and integrate into disaster plans. The CERT program is intended to be a partnership between the district and local neighborhoods or Bonita Springs’ communities that will ultimately reduce the injury and property loss caused by major disasters. Classes are held from 8:30 a.m. until 5:00 p.m., respectively and are taught at Bonita Springs Fire-Rescue Station Four at 27701 Bonita Grande Drive. After all 16 hours have been completed you are eligible to be called-out to an emergency scene. There is no cost and there are no physical or age limitations. If you are interested, please fill out an application and return it to Bonita Springs Fire Station Four at 27701 Bonita Grande Drive, Bonita Springs, Florida 34135. For more information, call CERT Coordinator Nicole Hornberger at (239) 949-6228. Automatic External Defibrillators in VillageWalk – Where are they? Special Needs Program – The Special Needs Program is available to all Lee County residents at no cost. It provides shelter from a Tropical Storm or Hurricane for those who live in a home and/or area that is not safe from storm surge or wind and / or have medical needs that may need electricity after the storm who have no other safe place to go. It also provides transportation to a shelter for those residents who do not have a way to get there. You must register to receive these services by completing the Special Needs Program application. Knox HomeBox is a key safe mounted next to your front door containing your house key. It can be unlocked only by firefighters. 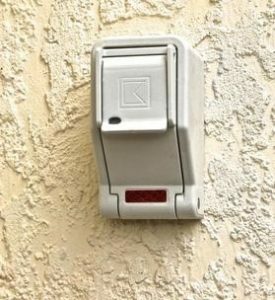 It enables firefighter-paramedics rapid entry to your home without damage if you’re not home or unable to open the door. They are purchased directly from the manufacturer at a cost of $167 to $183 depending on the type of mount. Once mounted, the owner places the house key inside and arranges for the FD to lock it. 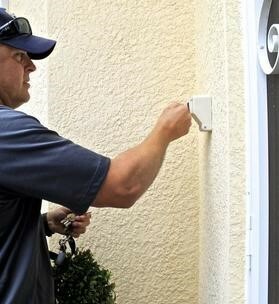 This is a voluntary alternative to forced entry, delayed entry or no entry when the FD is called to your home for a fire alarm activation or medical emergency. No HOA or ACC approval is needed. Knox boxes have been used by commercial properties for years. They have been available for homes protected by the Bonita Springs Fire Control and Rescue District since 2016. More information at www.knoxhomebox.com.